- Fur Content : Dyed Finnish Raccoon. - Hook and Eye closure. 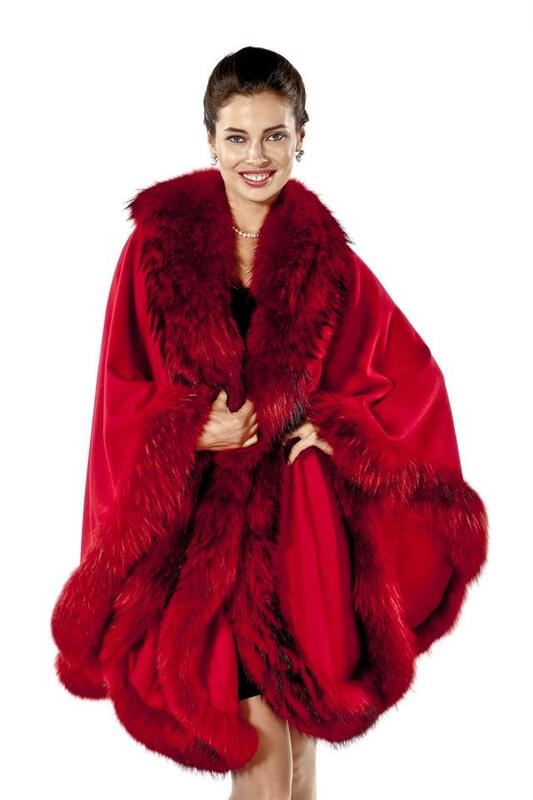 Paint the town red in this sophisticated yet practical cashmere cape with fur trim! Glamorous and glowing - this cashmere cape is the perfect finishing touch to every part of your wardrobe. Wear it every day layered over jackets and coats, as a cape over slacks and suits or as a wrap over evening clothes!